Bronze Fire Metallic Tinted Clearcoat 4D Sedan 2.5L iVCT 6-Speed Automatic FWD 6-Speed Automatic. Ingot Silver 4D Sedan 2.5L iVCT 6-Speed Automatic FWD Power Locks, Power Windows, 6-Speed Automatic, Air Conditioning, Alloy wheels, Delay-off headlights, Electronic Stability Control, Power windows, Radio: AM/FM Stereo/MP3/Single-CD, Rear window defroster, Remote keyless entry, SYNC Communications & Entertainment System, Tilt steering wheel. 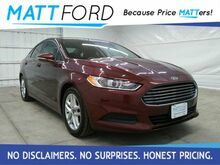 Bronze Fire Metallic Tinted Clearcoat 4D Sedan 2.5L iVCT 6-Speed Automatic FWD 17" Painted Aluminum Wheels, Cloth Front Bucket Seats, Equipment Group 200A, Exterior Parking Camera Rear, Speed control, SYNC Communications & Entertainment System. Ingot Silver 4D Sedan 2.5L iVCT 6-Speed Automatic FWD Bluetooth, Hands-free, Power Locks, Power Windows, 6-Speed Automatic, 16" Alloy Wheels, Air Conditioning, Equipment Group 100A, Exterior Parking Camera Rear, Power windows, Radio: AM/FM Stereo/MP3/Single-CD, Remote keyless entry, Speed control, Steering wheel mounted audio controls, SYNC Communications & Entertainment System. 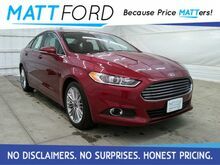 Get to Matt Ford Sales and make this Fusion yours today. 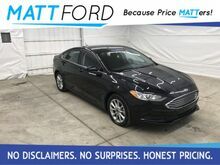 Shadow Black 4D Sedan 2.5L iVCT 6-Speed Automatic FWD Backup Camera, Bluetooth, Hands-free, CD Player, Cruise Control, Keyless Entry, Power Locks, Power Windows, Steering Wheel Controls, 6-Speed Automatic, Air Conditioning, Electronic Stability Control, Equipment Group 200A, Fully automatic headlights, Power driver seat, Power windows, Radio: AM/FM Stereo/MP3/Single-CD, Remote keyless entry, Security system, SiriusXM Radio, Speed control, Steering wheel mounted audio controls, SYNC Communications & Entertainment System, Wheels: 17" Premium Painted Luster Nickel. Ruby Red Metallic Tinted Clearcoat 4D Sedan EcoBoost 2.0L I4 GTDi DOHC Turbocharged VCT 6-Speed Automatic FWD 18" Premium Painted Luxury Wheels, BLIS w/Cross Traffic Alert, Dual Zone Electronic Automatic Temperature Control, Equipment Group 202A, Exterior Parking Camera Rear, Heated Steering Wheel, Lane-Keeping System, Luxury Package, Navigation System, Power Moonroof, Premium Leather Heated Sport Bucket Seats, Reverse Sensing System, SE Luxury Driver Assist Package, SE MyFord Touch Technology Package, Universal Garage Door Opener. 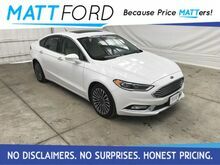 Oxford White 4D Sedan EcoBoost 2.0L I4 GTDi DOHC Turbocharged VCT 6-Speed Automatic AWD Fusion Titanium, 6-Speed Automatic, AWD, Medium Light Stone w/Heated Leather Front Bucket Seats, Front dual zone A/C, Power Moonroof, Universal Garage Door Opener, Voice-Activated Touchscreen Navigation System. 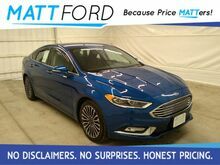 Blue Metallic 4D Sedan EcoBoost 2.0L I4 GTDi DOHC Turbocharged VCT 6-Speed Automatic AWD 6-Speed Automatic, AWD, ABS brakes, Compass, Electronic Stability Control, Front dual zone A/C, Heated door mirrors, Heated front seats, Illuminated entry, Low tire pressure warning, Remote keyless entry, Traction control. 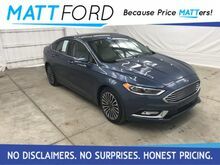 Lightning Blue 4D Sedan EcoBoost 2.0L I4 GTDi DOHC Turbocharged VCT 6-Speed Automatic FWD Automatic temperature control, Equipment Group 300A, Exterior Parking Camera Rear, Leather Heated Sport Bucket Seats, Power driver seat, Power passenger seat, Rear Parking Sensors, Wheels: 18" Machine-Face Aluminum. Oxford White 4D Sedan 2.5L iVCT 6-Speed Automatic FWD 6-Speed Automatic.